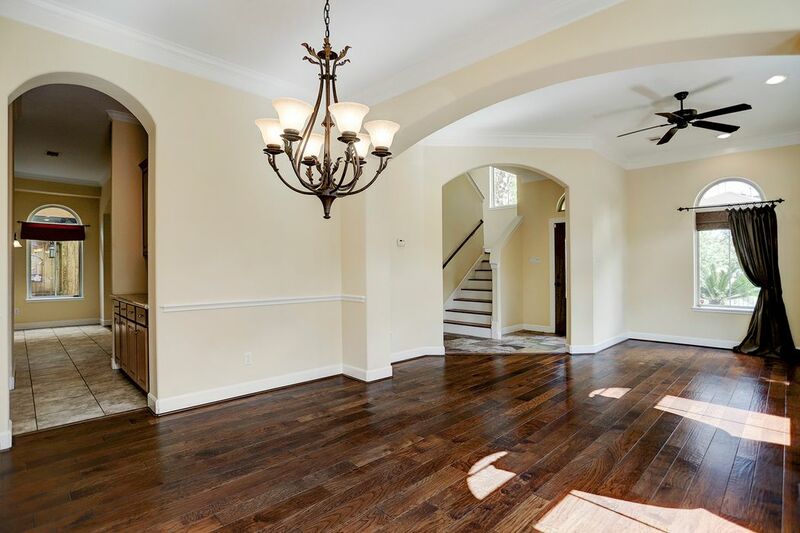 3108 Mcculloch Circle, Houston, TX 77056 | Martha Turner Sotheby's International Realty, Inc.
Come inside to 3108 McCulloch Circle. 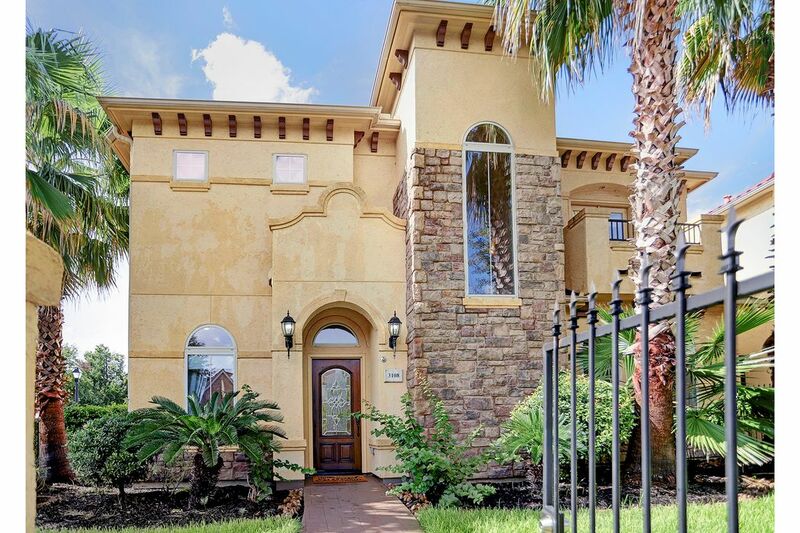 Stucco and Stone exterior lends a stately presence to this beautiful home. Coveted corner lot. Completely fenced. 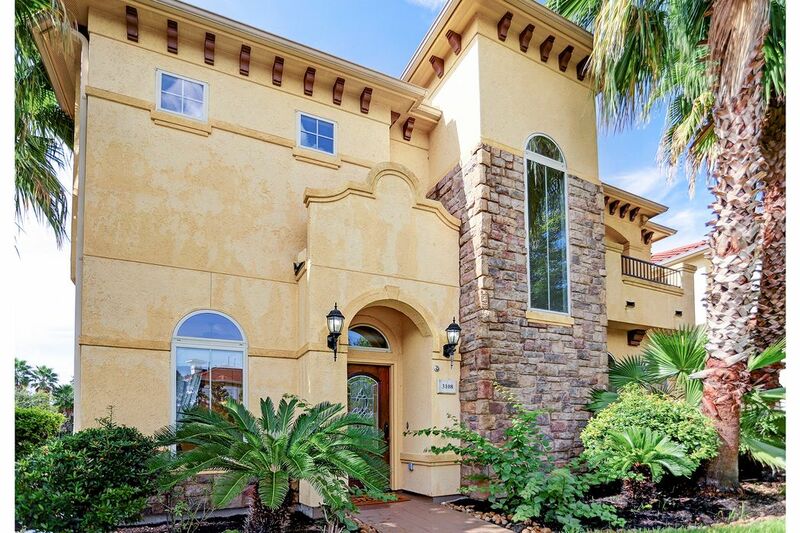 One more, up-close, look at this gorgeous property. Notice all the detail. Beautiful landscaping, too. 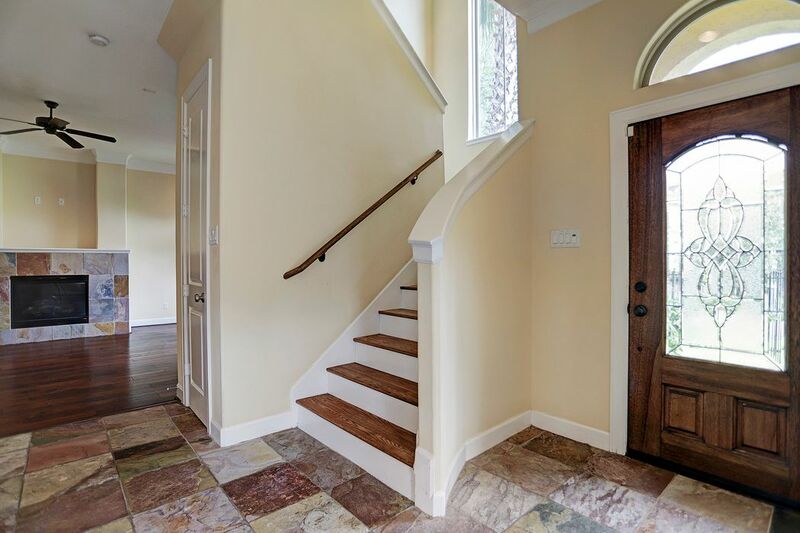 As you enter the home, notice the arched transom over the hardwood door with beautiful glass insert. Another view of the Entry leading into the Living Room. 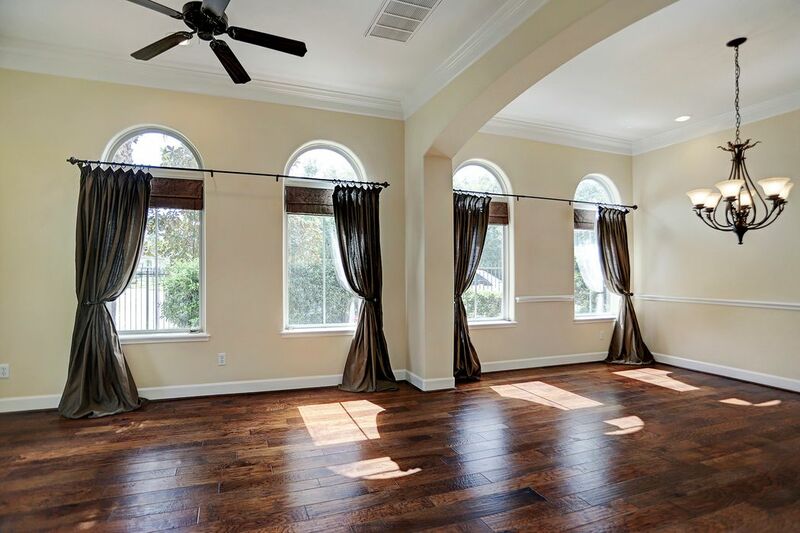 All the windows in here have the arched transoms that mimic the front door. 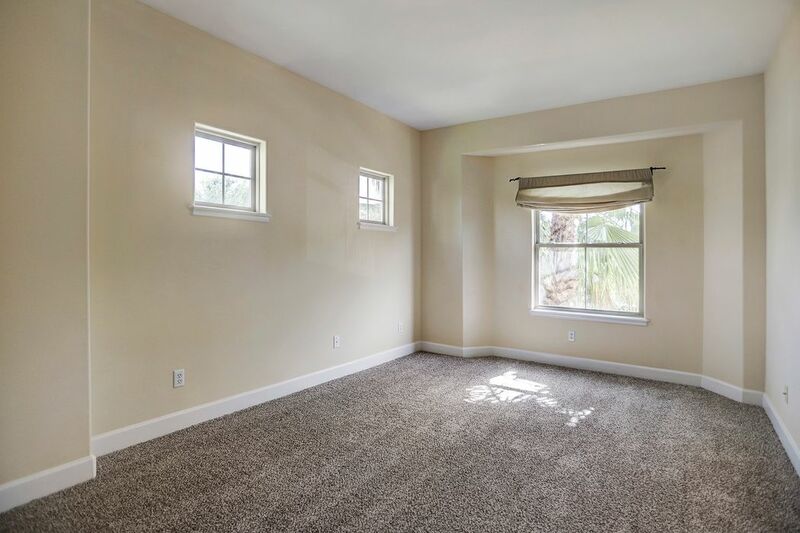 So many windows, so much natural light. 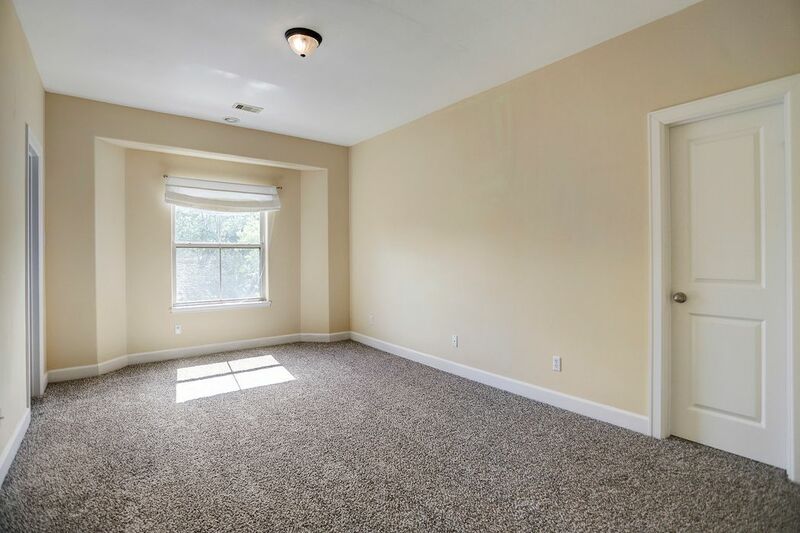 This view shows the Living Room and Dining Room. Notice the arched entry between the two, copying the arches above the windows and front door. So much symmetry in this home. Close up of Dining Room. Another arched entry leads into the Butler's pantry. Form this view, you can see through to the Butler's pantry and breakfast area and also see through to the front Entry. The home really flows nicely. The Butler's pantry has upper and lower cabinets and drawers. 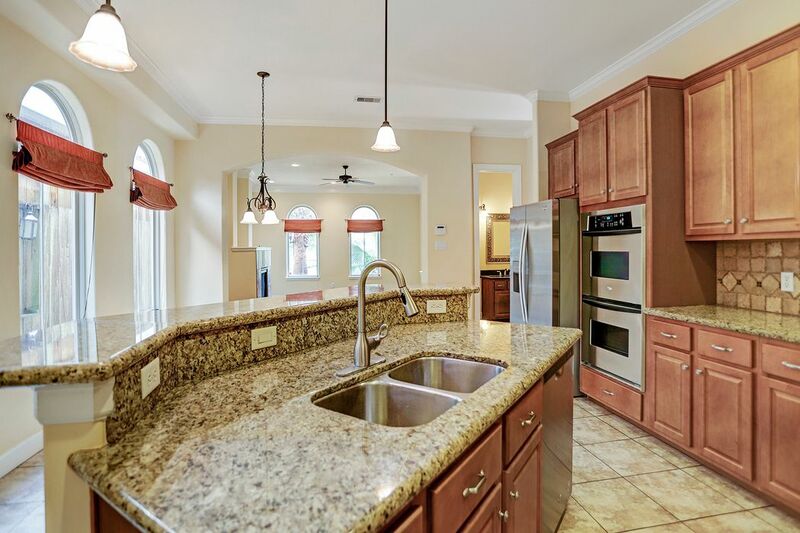 The counter is granite and the back splash is a tumbled marble. Across from the Butler's pantry is the garage access. 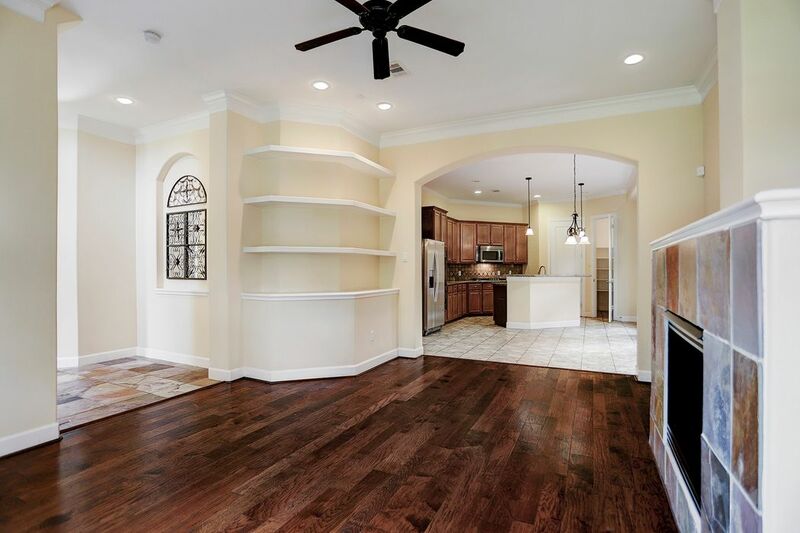 South facing Family Room that flows into the breakfast area and kitchen. This is the view from the breakfast area looking into the family room. 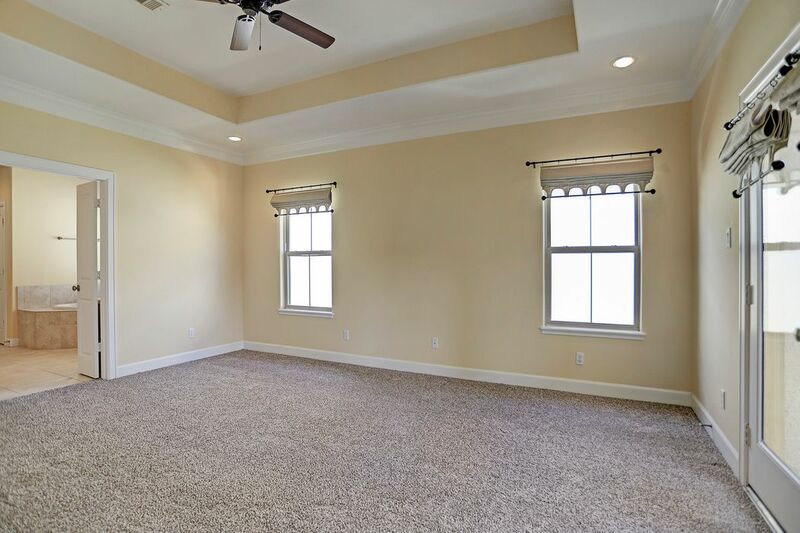 From this view of the Family Room, you can see how large a Breakfast Room you have. There is also additional space for seating at the breakfast bar. Note the attractive art niche across from the stairs. Behind the door on the right is the large pantry. Behind the door on the left is the laundry room. Whilrpool stainless steel appliances. Refrigerator is included. Cooktop is gas. From this vantage point, you can better see the 5-burner gas cooktop. 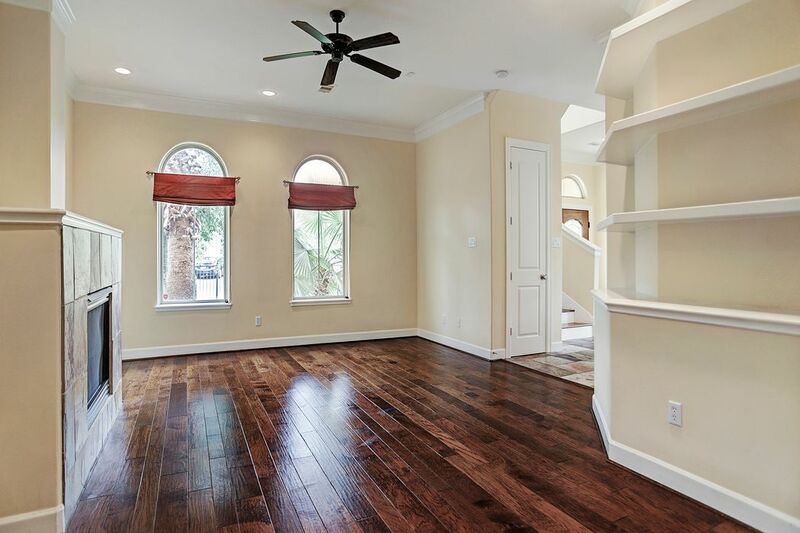 From this view, you can see all the way past the breakfast area into the family room. 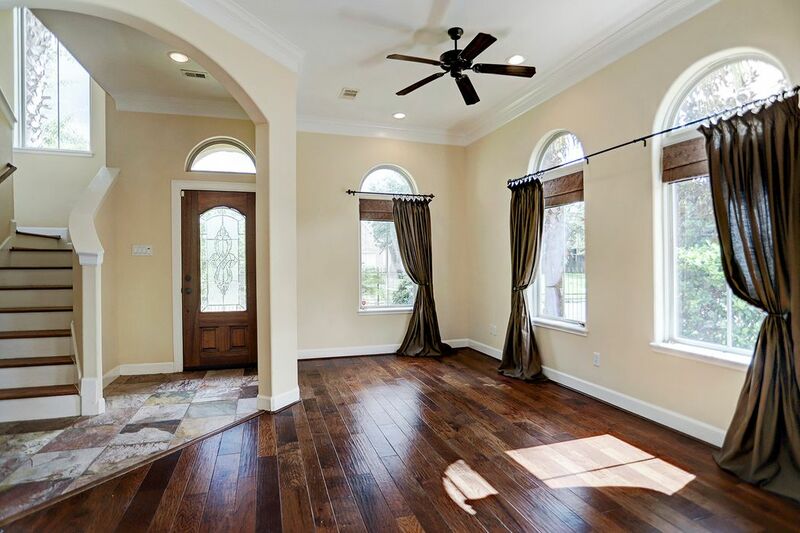 Again, the arched entry between the kitchen and family room, as well as the arches over all the windows, play well together. 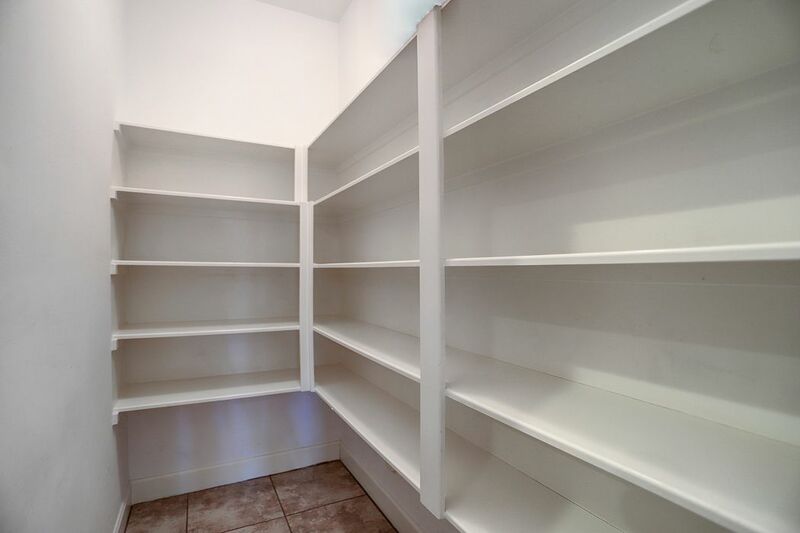 See how large this walk-in pantry is? 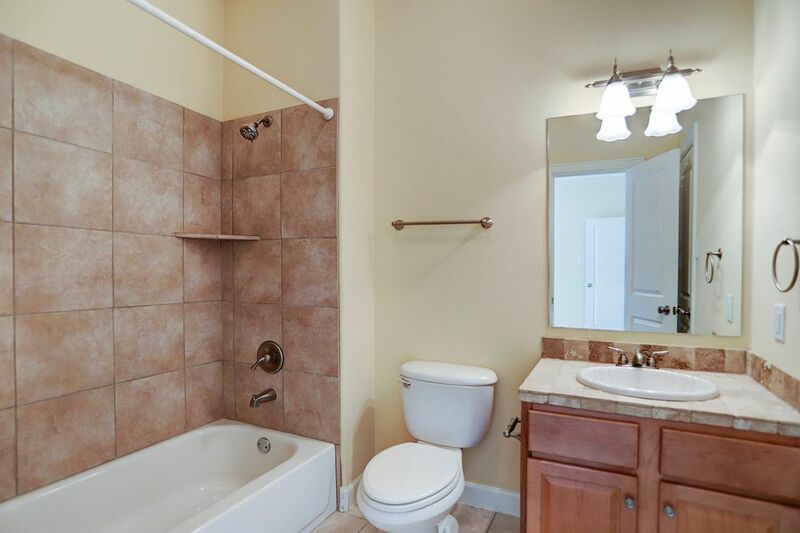 The Whirlpool washer and dryer convey with this property. 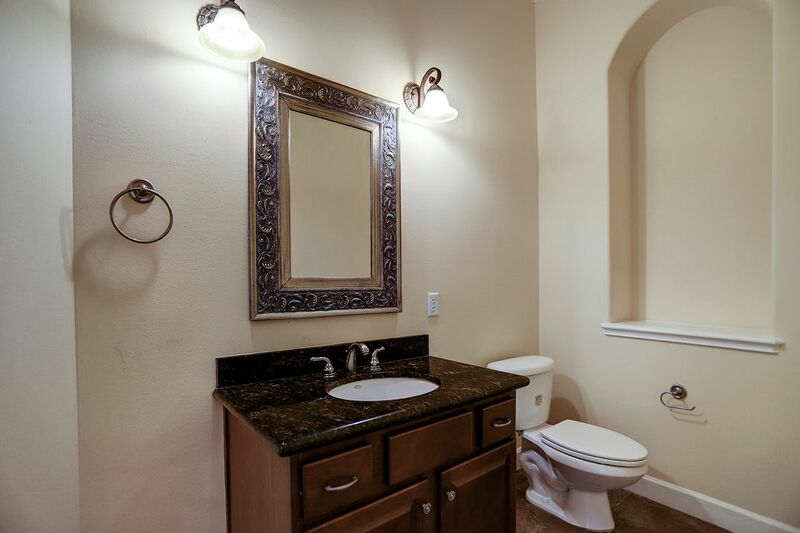 Pretty powder room. And, yes, another arch. This time the arch serves as an art niche. 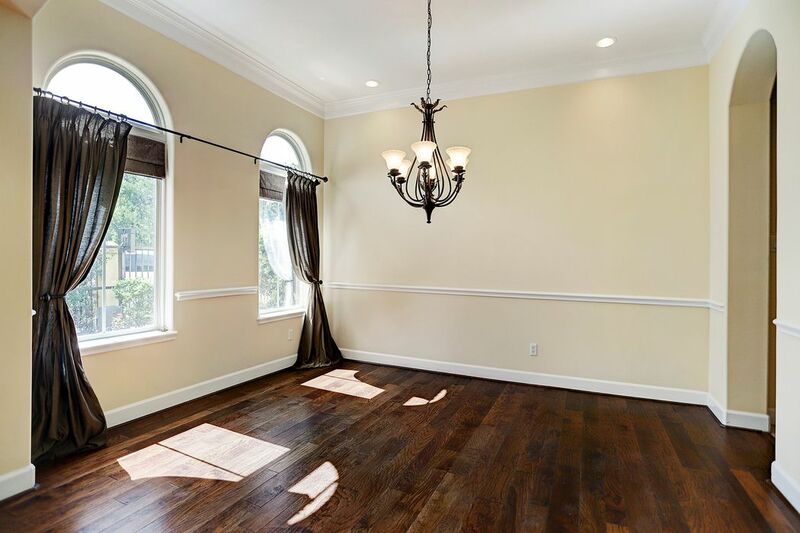 Light-filled Master Bedroom with French Doors leading out to a private balcony. 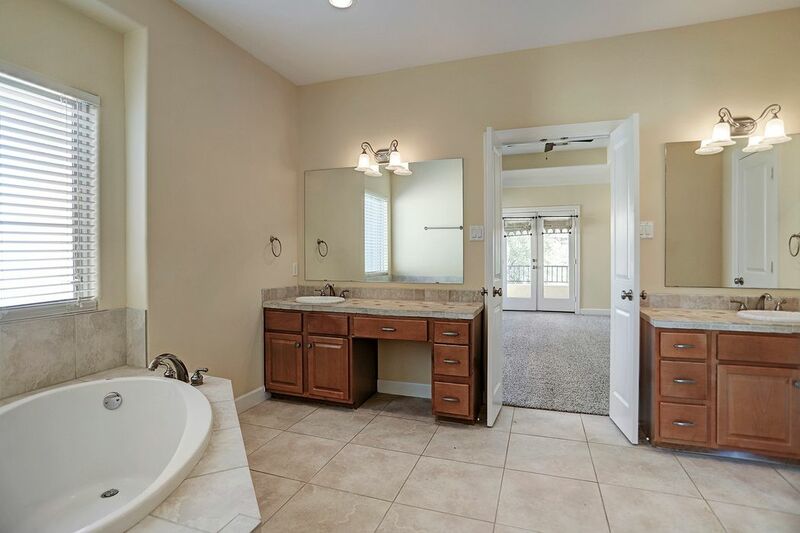 From this view, you can see the en-suite bath with double doors. 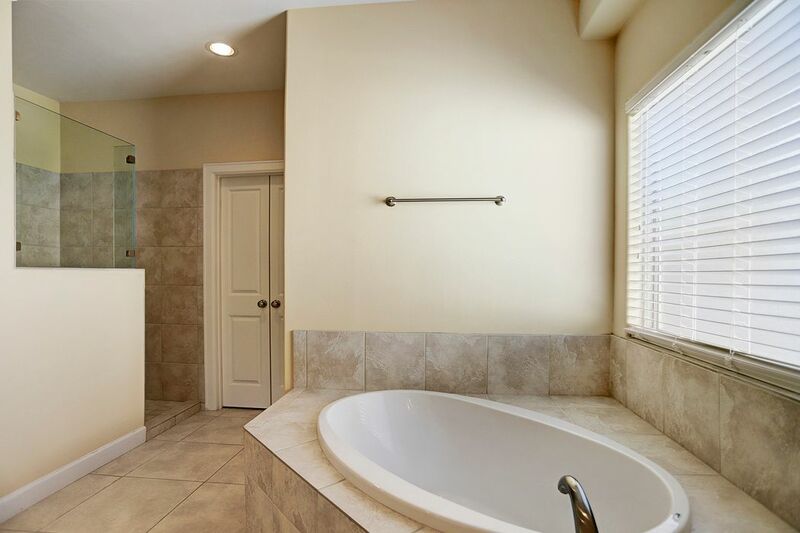 This shot of the bathroom, shows the garden tub under a privacy window. You can see some of the shower on the left. It's really big. 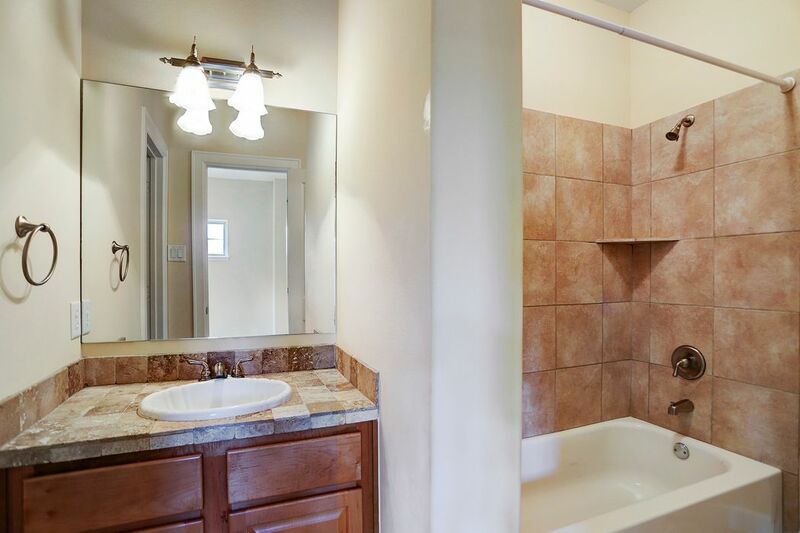 The sinks and vanities are nicely set apart so that two can get ready at the same time without crowding. 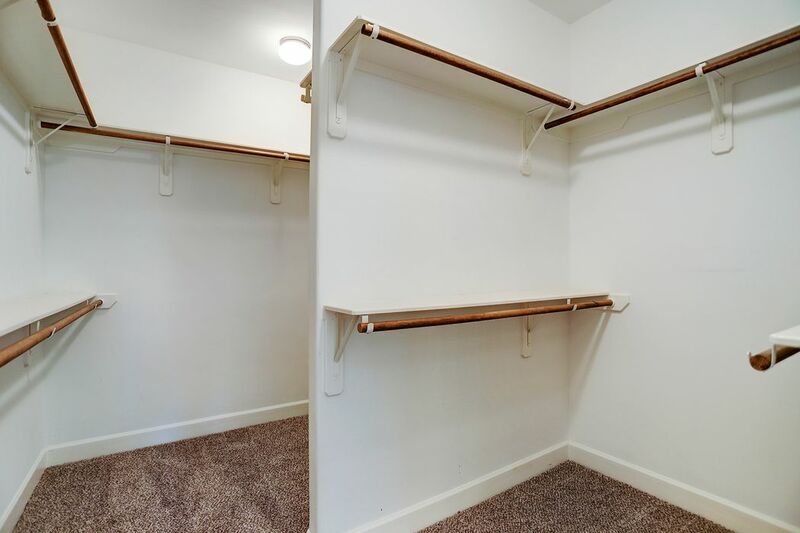 Dual closet with a lot of square footage. Looks even bigger in person. Large Secondary Bedroom with En-suite Bath. Ensuite Bath for Large Secondary Bedroom. One of the secondary bathrooms. 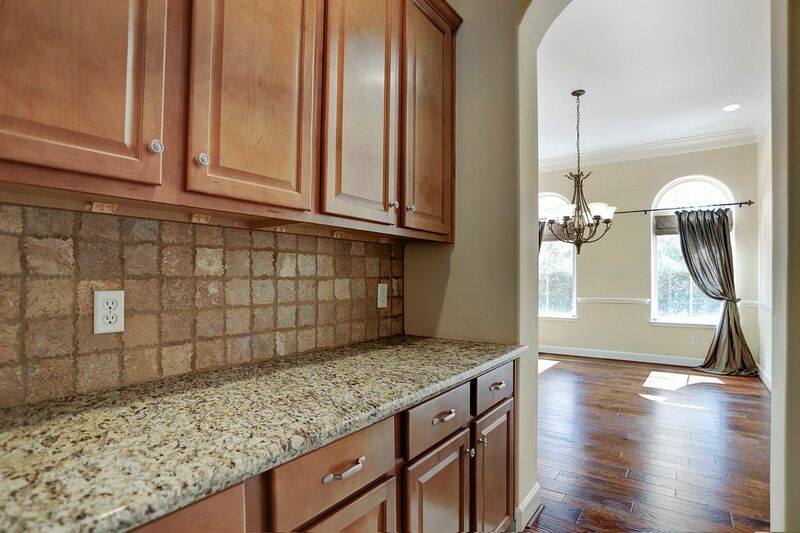 Just outside the Flex Room is this counter with upper and lower cabinets. This is the Flex Room. It could be used in so many different ways. 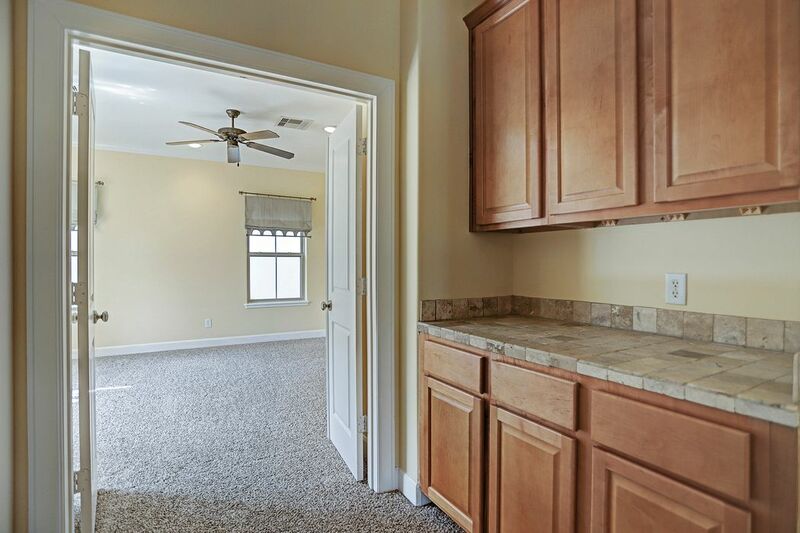 Lots of light in here and it leads out to its own private terrace. 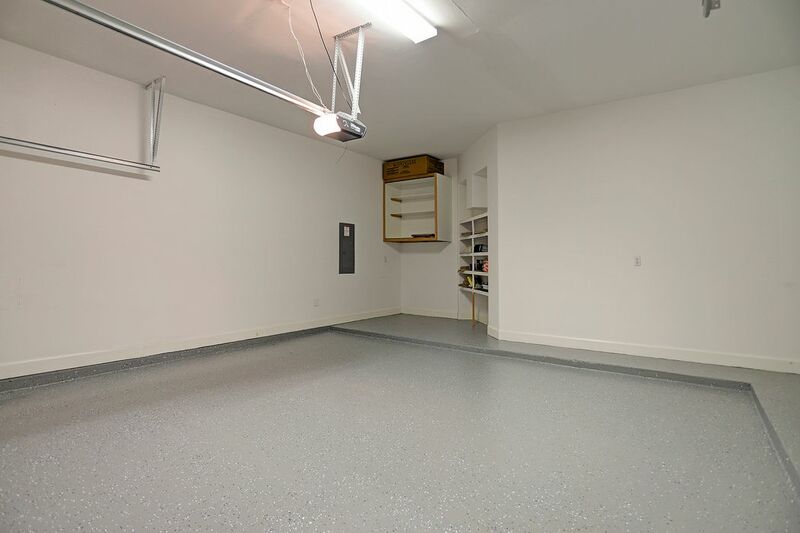 Very clean garage with special floor coating. It's also nice that the electric panel is in here instead of outside. 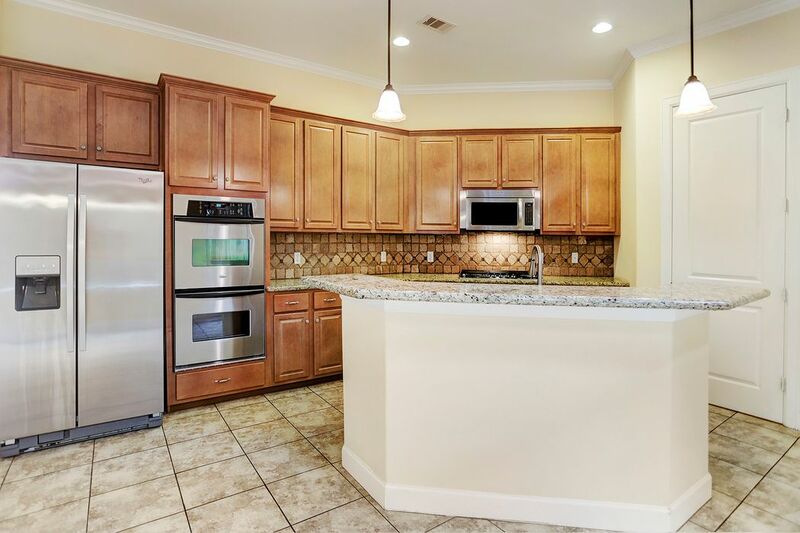 $665,000 3 Bedrooms3 Full / 1 Partial Baths3,148 sq. ft. 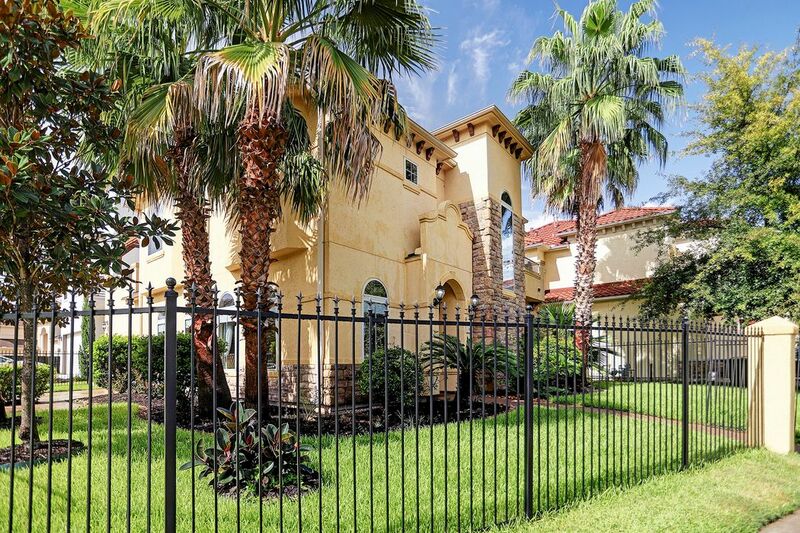 Stately, custom-built Mediterranean-style home, situated on a corner lot with balconies and lush, tropical landscaping. 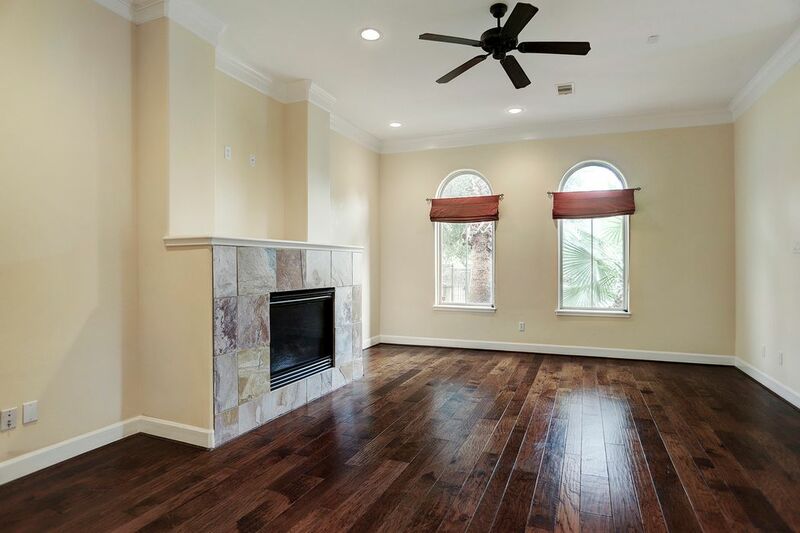 Spacious living room, dining room, kitchen, breakfast area and family room, all on the first floor. 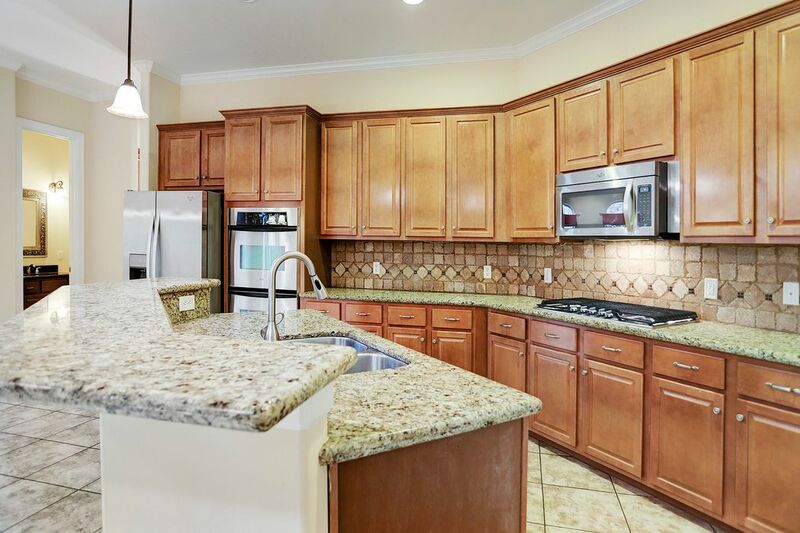 The kitchen boasts double ovens, a gas cooktop, microwave, Whirlpool refrigerator, island kitchen, breakfast bar and breakfast area. 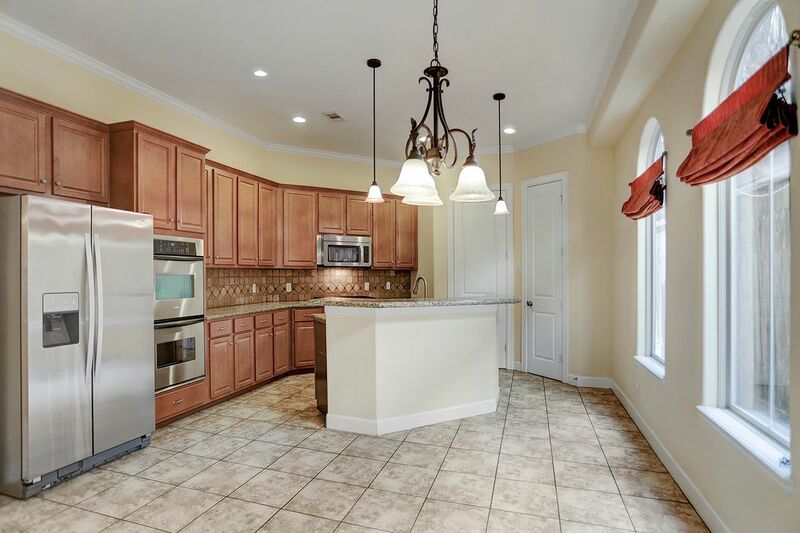 Kitchen flows into the family room. 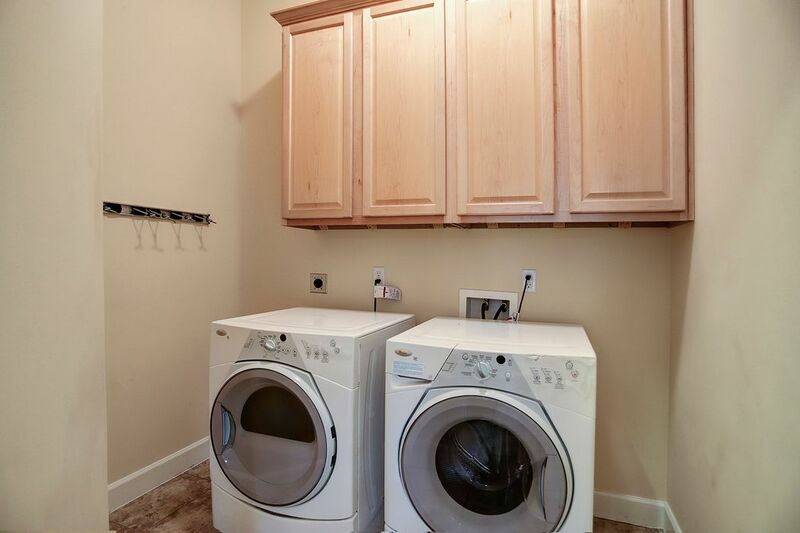 Laundry room housed off kitchen comes complete with cabinetry and a Whirlpool washer and dryer. 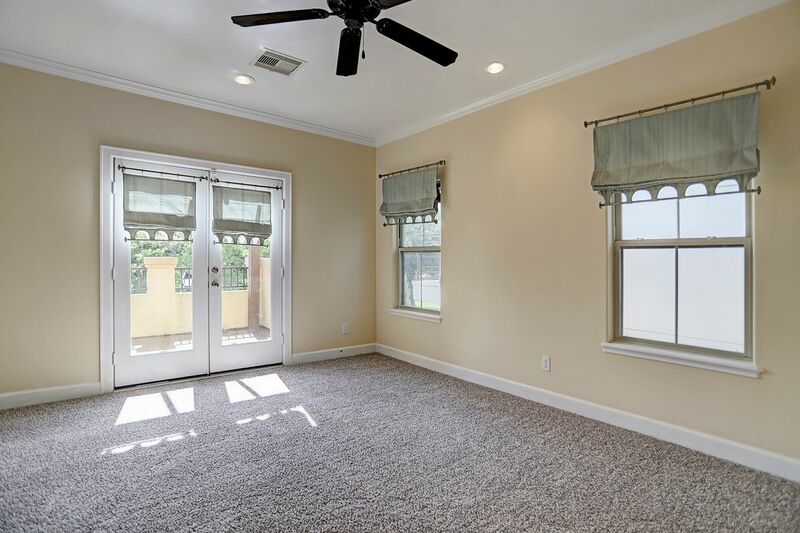 The master bedroom suite leads to a balcony through French doors. 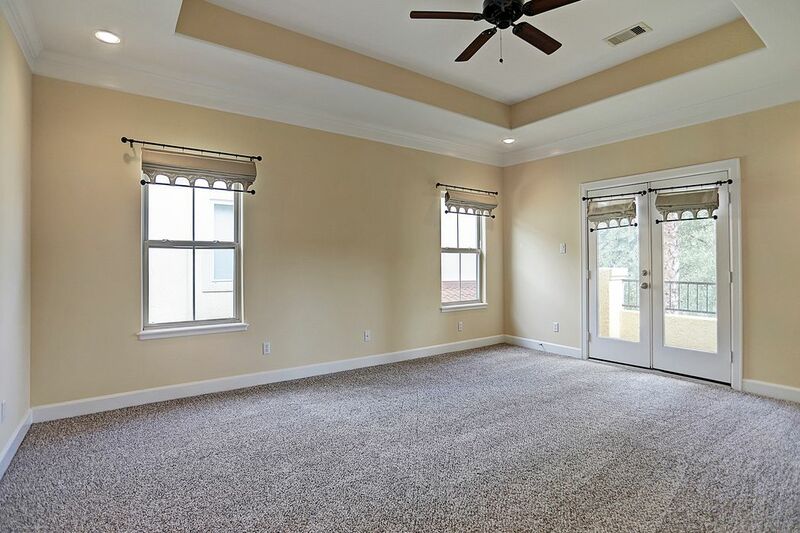 The upstairs study/flex room also has French doors that lead to a separate balcony/terrace. There are 2 more secondary bedrooms upstairs, 1 en suite. 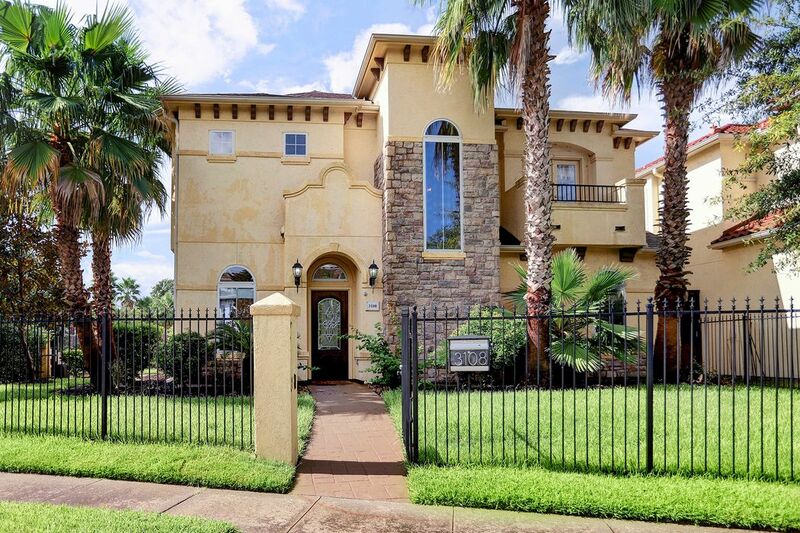 Conveniently located close to the Galleria, schools, restaurants and I-610. Fully-fenced side and front yard.